I haven't seen the film Paddington, last years live action take on the classic Michael Bond character Paddington Bear. It's meant to be pretty decent, but my only knowledge of the iconic bear is through the 1975 BBC1 animated series. You know the one, right? It was done with stop motion, and weaved together a Paddington model with cardboard cut-out backgrounds and supporting characters. It was- and still is- a very lovely little series. Then again, going into this game you don't really need to know anything about Paddington, as it essentially tells you everything you need to know about the blue coated bear. Developed by Ravenscourt and out now on Nintendo 3DS comes Paddington: Adventures in London, a simplistic but charming little game. Though I didn't see last years film, Adventures in London pretty much follows the plot of 2014's Paul King directed feature. While in the deepest jungles of Peru, explorer Montgomery Clyde comes across a bear who can speak English. The explorer chucks the bear his hat and tells him he's welcome to London if he wants to say hello. After the destruction of his home thanks to an earthquake, the bear travels to London to seek out Montgomery Clyde. After meeting the brown family at Paddington Station and being given the named Paddington, Adventures in London revolves around helping the people of London, doing puzzles and, of course, finding Montgomery Clyde. It's a story that's told very simply as it's for very young children, but it gives just enough of a background to who Paddington is that you instantly start to care about him and his quest. Gameplay in Adventures in London is very simplistic. The entirety of the game essentially takes place on the streets of London. Though Paddington's ultimate end goal is to find Montgomery Clyde, the vast majority of the game focuses on him helping the people of London and working his way towards becoming a gentleman (... or would that be gentlebear?). The visuals are a nice blend of both 2D and 3D graphics, and the game has a very cutesy look to it. As you move Paddington around you'll encounter various people in need of help. The tasks on offer are pretty basic, and revolve around the likes of having to greet someone, to finding someone's misplaced keys to their shop. Helping people builds up your reputation with the people of London, as does doing nice deeds around the city, such as picking up rubbish and putting it in the bin, to moving a fallen bicycle away from the footpath. One you've done these simple nice deeds everyone will stop what they're doing and cheer you on, you know, like real life. Another element to gameplay comes about with the various puzzles and games strewn throughout the city of London. There's one that's a rip-off of Candy Crush, a game in which you have to identify certain pieces of clothing from out of a crowd of people, and another one where you must balance a stack of parcels. With a whole host of these simple yet fun mini-games, puzzles, quests and tasks to find, Adventures in London is full of content. On top of all of that you can also collect things like marmalade sandwichs and suitcases, and these are littered throughout London too. Adventures in London is a game for children, and assuming you don't have children you'll most likely approach this game in one of two ways. You might just reject it off the bat simply because it's intended for kids, and turn your head towards something a little more engaging. However if, like me, you end up giving it a chance, you'll find a lovely little game that harkens back to the days of yesteryear. When playing Adventures in London I got flashes of games I played when I was younger on the Playstation and Gameboy Advance. You remember those days, right? They were games didn't need to be dark, edgy or fight for their right to be considered “art”, as they were just content on being fun. Adventures in London is fun. That said, it doesn't do anything new. In fact, even compared to other kids games out now it's pretty basic. But it still offers gorgeous visuals, simple yet fun gameplay, and enough charm that'll make you fall in love with Paddington Bear all over again. If you have kids that enjoy the character of Paddington Bear, Adventures in London is a must. However, if you don't have kids and want something that's a little bit of harmless fun, consider giving it a shot. It's not a game that'll get the most coverage out there, but it's something that I found to be a joy to play. Neither is it an experience that will stay with you, but it's certainly one worth enjoying with a cup of tea and a marmalade sandwich by your side. 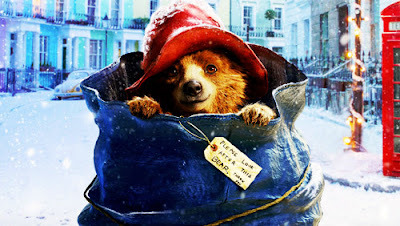 Paddington: Adventures in London is cosy charming fun. 4/5. CeX enters the e-sports arena!